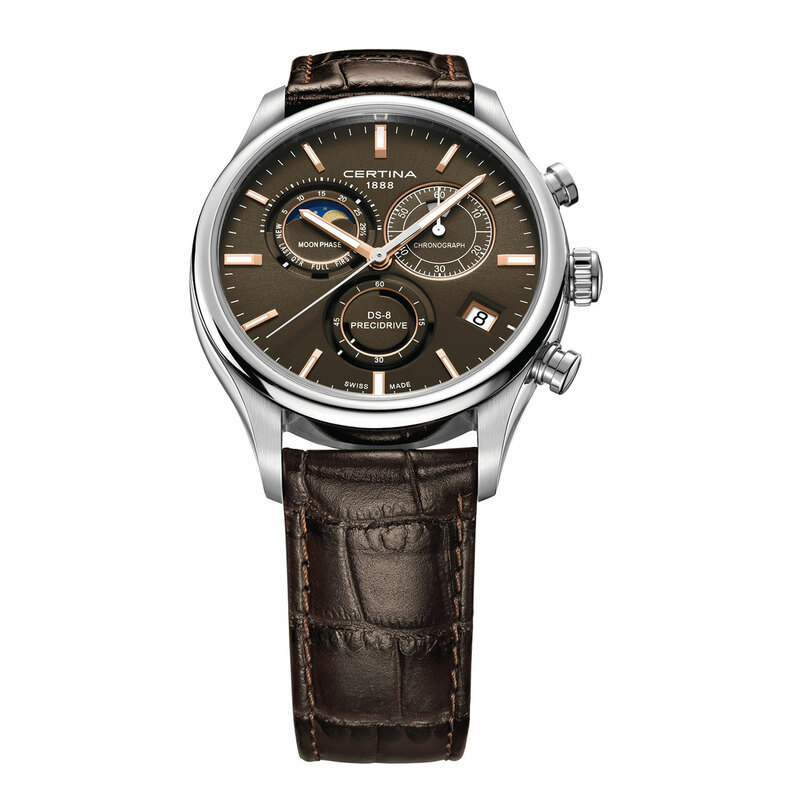 The DS-8 chronograph reaches for the moon by adding a new complication indicating the mean duration of the cycle and quarters of the heavenly body. So as to position this function at 10 o’clock, the high-precision PrecidriveTM movement offers an original layout of the chronograph counters. While the 12-hour display appears through an aperture inside the 60-minute counter, 60-seconds timing is done by a central sweep-seconds hand. These indications are attractively staged on a sunburst satin-brushed anthracite dial also featuring a small seconds subdial. 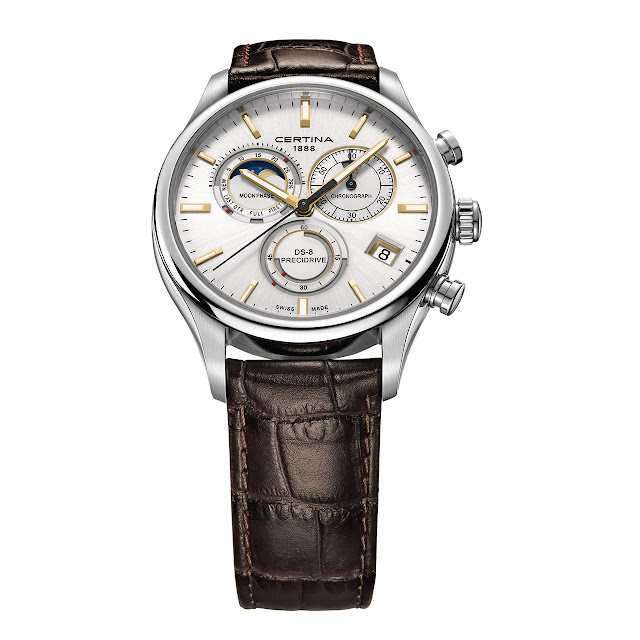 Equally at ease by day or night, the Chronographe DS-8 Phase de Lune features a trendy 41 mm diameter and naturally includes Certina’s famous DS (Double Safety) concept.